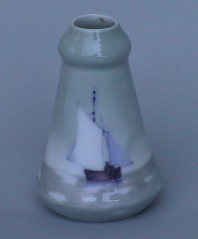 this is a small ceramic vase of unkown origin. 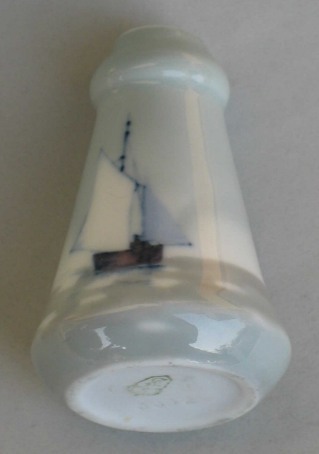 It is decorated with a sailing boat on a sea of Northern European taste. 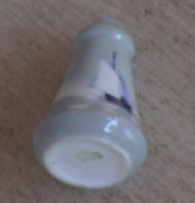 On the bottom it has a mark with a crowned shield with a S.
The vase is 2 1/2 in. high (cm. 5,5) and was bought from an Austrian dealer in Wien Antique market.